In this post, Swati Janu, one of the researchers who received the Social Media Research grant for 2016, introduces her proposed work. Though bereft of basic facilities such as sewage system or water supply, informal settlements in Indian cities have been rapidly permeated by networks of digital technology and media infrastructures. The highest internet usage here is through mobile phones – enabled by the rapid penetration of low-cost smartphones and low tariffs. The digital consumption in terms of data recharge or offline media purchases is largely incremental with daily recharges of Rs 10 – 30 instead of larger amounts over longer periods. This incremental nature of digital consumption is inherent to informality, be it in its physical manifestation as incrementally constructed houses or through transient capital in the form of daily wages and payments. It is this temporality of informality that I am interested in investigating further through the lens of consumption of digital media, linking to and building on my background in architecture and understanding of incremental housing in informal settlements. The Smart Cities Mission by the current Indian government has drawn up a list of 100 cities to be made ‘smart’ over 5 years with central government funds of Rupees 480 billion set aside for it. Missing from this neo-liberal rubric for development are alternative sites of development that exist in the form of informal settlements in Indian cities – byproducts of the ongoing rapid urbanization and the State’s incapacity to plan for it. Falling outside the purview of Master Planning, these self-built neighborhoods provide affordable housing to millions of service providers and make a substantial contribution to the country’s GDP. My research aims to analyze the patterns of mobile technology purchases – data recharge and offline media download on phones – through phone recharge kiosks within these informal settlements. The kiosks dot every major junction and main street in most informal settlements, much like kirana or neighborhood stores. 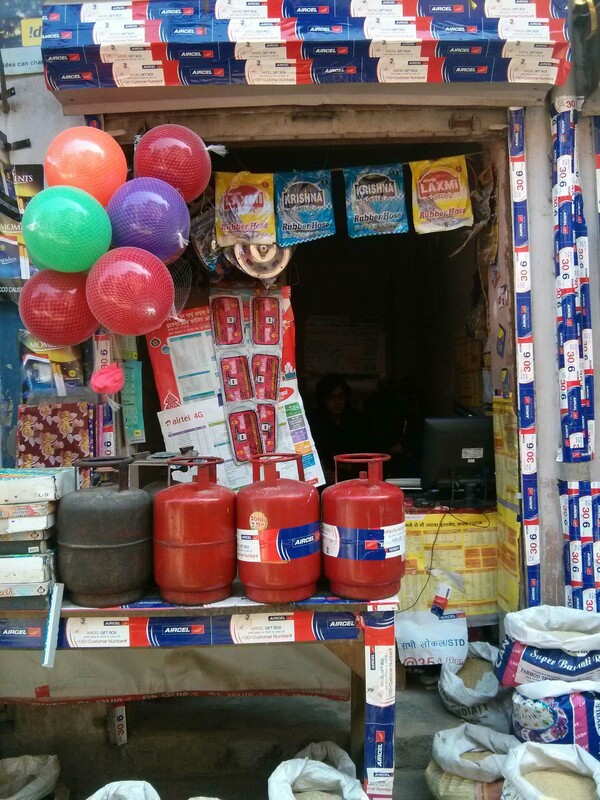 Acting as community hubs, many of them provide other services such as mobile repairs or cylinder gas refills. Connecting this network of local entrepreneurs are middlemen who are the sales agents of different service provider companies. Through research on the mobile recharge kiosk owners, the sales agents and the customers who frequent the kiosks – the research aims to present the network of pre-paid mobile technology spread out in informal settlements. The analysis of this network is important to delve deeper into the incremental nature of its consumption. Such an inquiry is all the more relevant in the context of the Digital India campaign that the current government has undertaken in order to promote digital equality. This initiative is aimed at providing government services electronically as well as increasing digital connectivity with plans to connect rural areas with high speed internet. While the recent ban on Free Basics has been based on the ethics of internet freedom, it remains to be seen whether the free services provided would have had the claimed impact in the first place. For instance, would the free service have enabled the “untapped billion” without internet access to move online or would it have led to a mere switch for present internet users to the free version? A deeper understanding of transaction patterns would throw light on effective strategies, for marketing or development initiatives that could reach the lower income and the digitally poor population. There is much to be mined from the metaspace that disrupts as well as facilitates formal structures through its collusion of digital and urban networks. Just as our cities are growing through the physical manifestation of informality, its digital networks are fast connecting the untapped millions. At mHS CITY LAB, a social initiative to improve the quality of informal housing, I have been working on a project to provide design and technical knowledge to masons and homeowners in informal settlements for construction of houses through the medium of digital technology. This has involved ethnographic research in the form of field surveys, interviews and focus groups to understand the receptiveness of the digital interface and evaluate the value of the offered services. While I am well versed with the incremental nature of construction in these settlements which takes place floor by floor with savings over time and often necessitated by events such as the wedding of a son, I am interested in extending the understanding of this nature of informality to digital infrastructures. This infrastructure permeates settlements in the form of digital networks of internet through hand-held devices such as feature phones and smartphones, as well as physical networks of phone recharge kiosks (for downloads of media such as songs and films), cyber cafes and gaming kiosks. 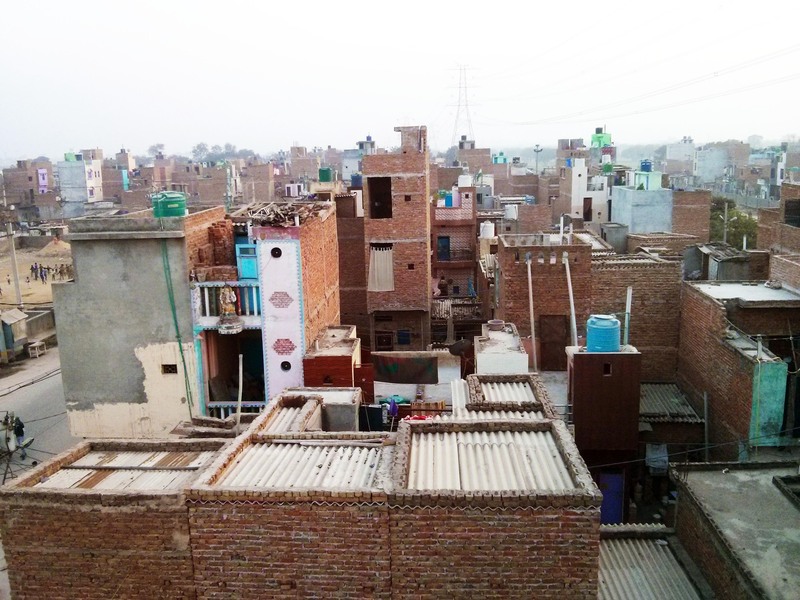 Through our research, we discovered that the most common recharge amount in most informal settlements in Delhi is Rs 10 – for talk-time or offline media download such as songs and films on smartphones and feature phones. With the mobile recharge shops located at a convenient walking distance within most informal settlements, these recharges are bought on an almost daily basis instead of larger aggregated amounts over longer durations. While the obvious inference would be to link small, incremental transactions to lower incomes, this ephemerality of informality can also be seen to have its links in its lack of tenure on one hand and limited planning on the other. These recharge amounts are synchronous with the brick by brick, floor by floor growth of the settlements and seen to be synonymous with the daily wage earnings and consumption patterns of the community. The fellowship project will use and build on this unit amount as a symbol of the inherent incrementality within urban informal settlements. The methodology used for the fellowship research would be ethnographic research in the form of semi-structured interviews. Enabling a bottom-up study, ethnographic approaches are particularly suited to an understanding of the daily workings of lives in informal settlements for a more grounded representation and documentation of the voice of the subaltern. The research would be carried out in two types of informal settlements in Delhi – jhuggi-jhopdi clusters and resettlement colonies. These typologies are the most normative of informal settlements in terms of their socio-economic and urban fabric. Three sites are proposed –Sundernagri in north-east Delhi, Savda Ghevda in north-west Delhi and Govindpuri in the south. The choice of these settlements has been based on their location – to cover inner city and peripheral settlements – as well as their age – to cover settlements less than 10 years old and settlements over 40 years old. This is crucial to cover the different factors at play in different areas since the extent of formalization depends on the age and location of the settlement. A few shop owners and dealers along with a small group of customers would be interviewed in each settlement at random. Specifically looking at the purchase of data and download of offline media such as apps, songs and movies from local phone recharge kiosks, the research will draw from the identified patterns to build a narrative on the multiple temporalities to be able to link them to existing theories on informality. The networks of media infrastructure within informal networks of spaces provide an ideal breeding ground to test and expand our understanding of hybrids of physical and digital spaces. As the networks of social urban spaces reconfigure themselves along the new channels of communication which are making these dense settlements even more tightly connected, there is an urgent need to understand the usage and consumption of these channels. While informality is beginning to be used to inspire a new model of urbanism that is for example, walkable, socially cohesive and climatologically sustainable; its digital mutant could offer similar lessons in the near future. 7.5% of the GDP. Source: PRIA, & SPARC. (2013). Contribution of Urban Informal Settlement Dwellers to Urban Economy in India. The digitally poor or those who lack goods and services based on ICTs (Internet and Communications Technology) are not only the economically poor. Apart from access, they could lack the use ability or demand for ICTs. See Bunnell, T., & Harris, A. (2012). Re-viewing Informality: perspectives from urban Asia. International Development Planning Review , 34 (4), 339-347.